A dastardly egg thief has been stealing Easter eggs from some well-loved characters here! Young detectives will explore the Garden to track down the clues and hopefully identify the culprit. 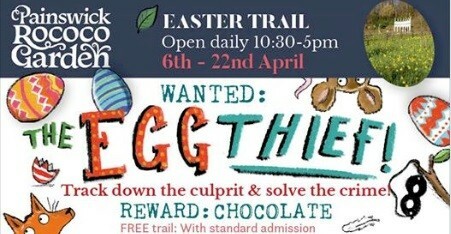 The trail is free with admission to the Garden and of course... there is a chocolate prize!